I told a funny story today. A story I have told a number of times in the last six months. A story that never fails to make me laugh; sometimes from discomfort, other times from the sheer absurdity of it all. Mr. P’s friend’s father announced that congratulations were in order. I knew this was coming but it’s something that, for some reason, I find incredibly awkward to talk about. At the time of Nathan’s accident My two boys attended the same school. Everyone was wonderful and supportive and helpful. And because it was such a public tragedy I never had to explain our situation. Then mister P moved schools. This means in a single conversation I’ve explained how I was widowed, am now remarried, and, yes, I am pregnant with my fourth boy! Oh, and did I mention that my new husband is also my brother-in-law? Yes, my kids do occasionally call my husband uncle-daddy! And Preston’s friend’s dad? He said he thought it was pretty cool. I’m not going to lie, things are rough right now. I’ve always been a little anxious but this is a new feeling. Being on the edge of sanity and staring out over the abyss. I’m teetering and it’s frightening. I write blog posts in my head ALL. THE. TIME. My mind is constantly buzzing with strange thoughts and feelings that I know would make more sense if I wrote them down. Unfortunately, by the time children are down for the night and my evening checklist is complete I find my mind void of anything to write at all. I’m 3.5 months in to this nightmare and I still feel like I can’t really wrap my mind around what happened. I find myself staring pictures of him and noticing all the reasons it can’t be true. But he’s so big. He’s so strong. He’s right there. He’s right here in this picture I took not that long ago. He’s smiling that sweet, smirky smile. I’ve been trying to fill my life with distractions. Anything to keep my mind from fixating on my new reality. I feel like I’m doing a pretty good job but then night comes. It’s getting easier but there’s a long way to go before I enjoy my solo evenings again. I used to look forward to the quiet of night. Even if my love was going to be working I enjoyed the peace of night. Now I fill it with noise. I’m happy to have a break from my mothering duties but my world feels empty. I so long for the comfort of the love of my life. I long for my tv companion. What I’d give to have my bed companion. I miss our long talks. I miss his warm strong body. I miss his soft green/brown eyes. I miss his mirthful smile. I miss his big hands holding mine. I miss his love and comfort. I attended a beautiful funeral today. Loretta was my neighbor for 15 years, almost my whole childhood. While I didn’t know her well (a sixty year age gap will do that!) I am glad for how I did know her. I know that she was a good, kind, gentle woman. I know she had a very large family that she loved oh-so much. I know that she kept a beautiful garden and that she painted. I know we loved to give her hugs and that her husband was one of my favorite people. (Grandpa Blair, we called him.) Loretta was a wonderful bonus grandma. Funerals are always such a good place to learn more about those individuals that you will not have the chance to get to know better in this life. I learned that Loretta had five daughters and one son. She has 25 grandchildren and over 60 great grand children (so far!). I learned that Loretta didn’t learn to paint until all of her children had left home and that she loved to learn and was always reading. I learned she grew up so poor that they didn’t have indoor plumbing until she and her sister, as teenagers, worked so they could buy an indoor toilet. Loretta was a very loved woman and I am grateful for the chance I had to know her. I only wish I had been able to know her better. Farewell grandma Blair. Until we meet again. For the umpteenth time I’ve decided to apply for a passport. I’ve always wanted a passport. The idea of traveling the world has always appealed to me but the reality (ie: costs) have always held me back. I’m thinking if I get a passport and the opportunity arrises I’ll actually be able to go. I don’t have a super long list of must-go places on my list. If I had the chance I would first like to go the UK and Ireland. 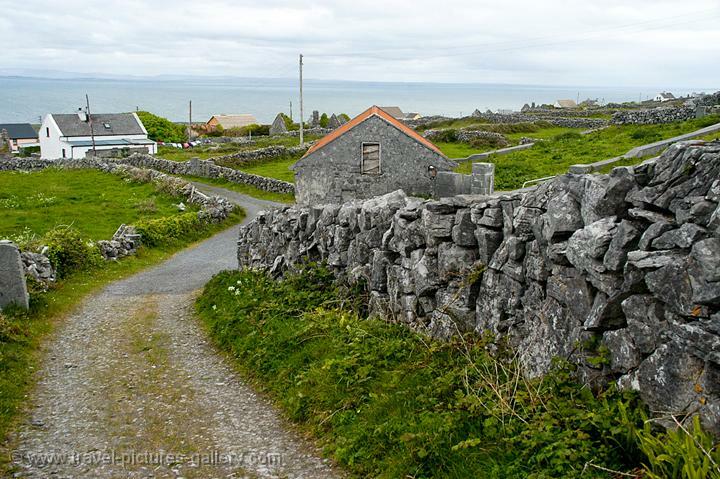 My family history is mostly Irish and English so I have a burning desire to go there. I want to see where my people are from. As an adoptee I longed to know where I was from (it’s hard feeling to describe to people who have always known their ancestry) and now that I know I want to go. As a family I would love to take one big trip to New Zealand. My husband had the opportunity to go as a teenager and it is on his (very) short list of places he’d like to go. I want to go for a whole month, rent a camper and see everything we can see in that time. Apparently the have a lot of wonderful campgrounds where you can drive place to place and even take a fairy from the north island to the south one. 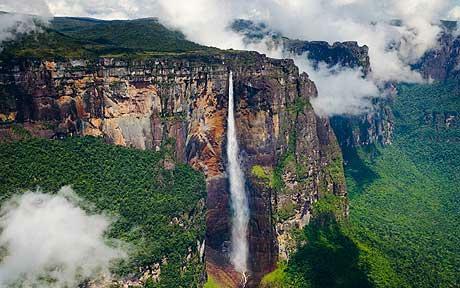 Last on my short list I would love to go to Venezuela. I don’t know that it will ever happen with the political mess they are in now but this is the only other place on my husbands list of where he would like to go. He lived there for a few years in his early 20’s and he has always wanted to go back. I would love to go there with him. And that’s about it. Of course there are other places I would like to go if I had the opportunity but these three are the places I long to go. 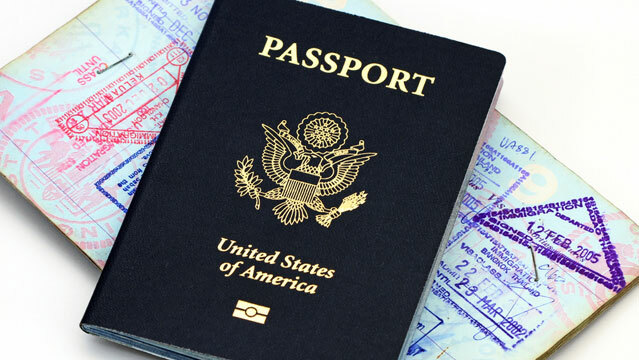 For now, though, I will be satisfied to have a passport in hand and a dream in my heart. How about you? Where do you long to go? 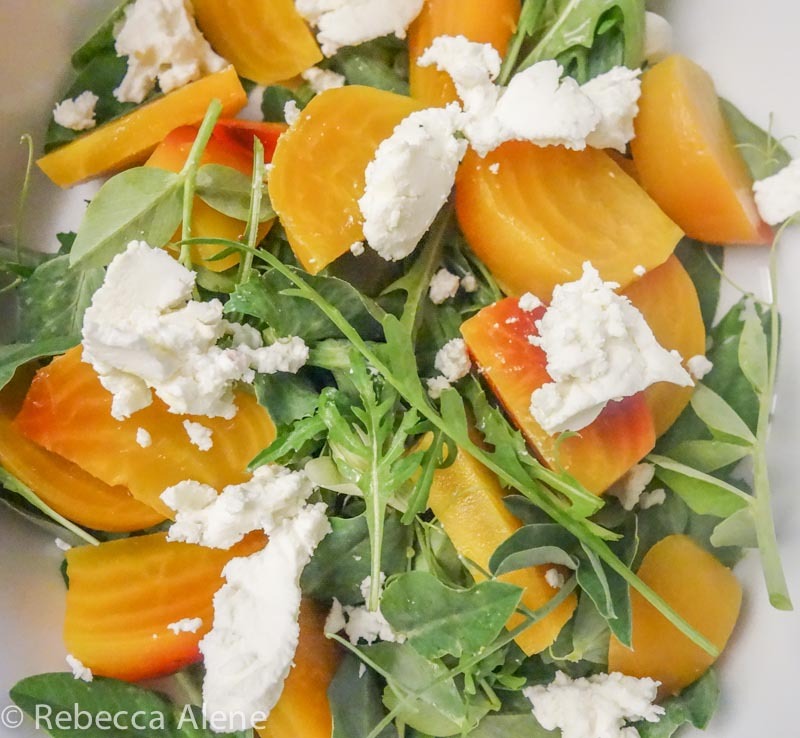 A few years ago, while at a wonderful friend’s home, I first encountered golden beets. In all honesty, it was only a few years before that that I had ever had a beet at all, but that’s neither here nor there. Any way, this friend is, by far, the best cook that I personally know. I believe she can make just about anything delicious. And while my first experiences with beets did not set a very high bar (boiled beets, plain anyone?) she leaped so high over that my mind was blown. Who knew that something that tasted so much like dirt when I cooked it could be so, well, divine. I have spent the last few years attempting to grow golden beets. If you know me at all you can imagine what a hard time I have forking over the premium they charge at Whole Foods (the only place you can buy golden beets around here) for those little golden nuggets. It’s just plain painful. And considering the one and only time I bought them they DID NOT turn out anything near tasty I’ve gone back to trying to grow them. Growing a garden is one of those wonderful analogies to life. The first years you plant, if you’re like me, you just jump right in. You throw some seeds in the ground and feel surprised when they don’t flourish. 8 years into this vegetable gardening thing and I feel like my life lesson catalogue is overflowing. I’ve learned that root vegetables need VERY soft ground. I’ve learned that there are cool weather plants and warm weather plants. Where I live beets grow in the spring and not so well in the summer. 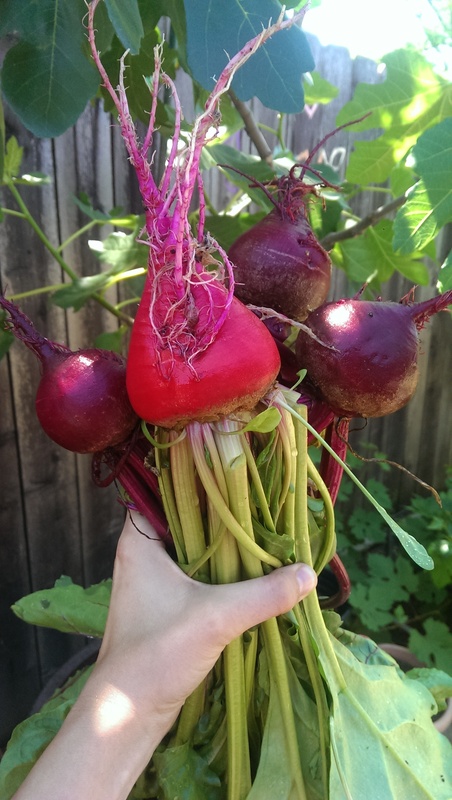 I’ve learned that you have to thin beets well because each seed is actually a cluster of seeds so you NEED to thin, even if you plant just one seed in each hole. And I finally, FINALLY we get to have a golden beet salad. Mix first 4 ingredients in a bowl. Squeeze lemon over salad. Drizzle with honey. Toss and serve. Ugly. Stupid. Friendless. Unloveable. Annoying. Inept. Irritating. Often I run through lists of all of my failures. I put myself down constantly and I am tired of it. I am ready to make a change. I am ready to be a confident person. I am ready to love myself. I know that it will be a long road but I also know it is worth it. I need it. My husband needs it. He can’t constantly be my buoy. I am arming myself with this killer list of how to be confident and I am doing it because I AM WORTH IT.